Taiwan has received waves of migrants since the beginning of its written history. Together, these people of distinctive cultural backgrounds witnessed the island’s historical milestones: colonisation, martial law administration and democratisation. Centuries of cultural collision and fusion have shaped Taiwan into a multi-faceted country, but its historical complexity often leads to discussions on what constitutes the Taiwanese identity and which culture best represents Taiwan. 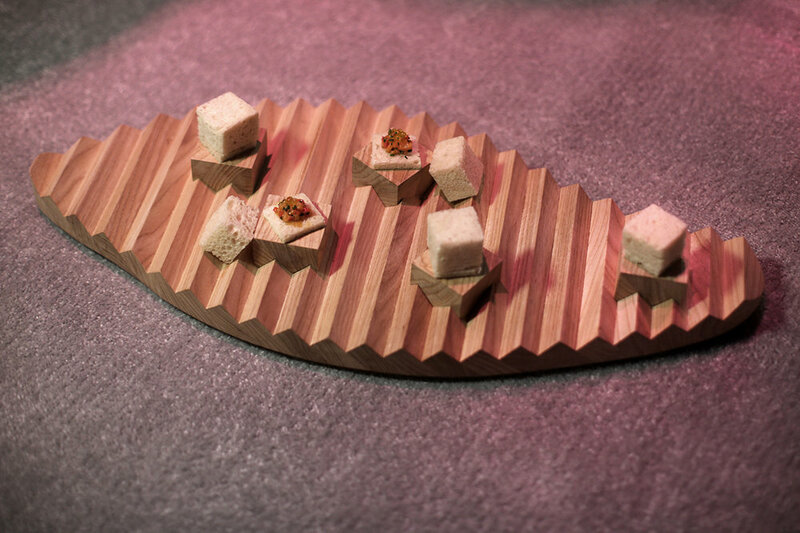 Eatopia responds to the theme of the inaugural London Design Biennale, Utopia by Design, by presenting an imagined future through a culinary journey. Reflecting on the history of Taiwan, the dishes serve as a reminder that cultural collision and fusion have been and will continue to be powerful forces that propel the country towards a united yet diverse utopia. In the seventeenth century, men from the Hokkien and Hakka-speaking communities of southern China traversed the harsh waters of the Taiwan Strait in search of a better future. Upon arriving in Taiwan, many chose to be married into matriarchal indigenous tribes to gain land ownership rights and the ensuing development opportunities, laying the foundation for cultural and ethnical integration. The lasting influence of the fifty-year Japanese colonisation is visible today in both the built environment and collective psyche of Taiwan. Infrastructural development and urban planning improved internal and external transportation links, fuelling the local economy and trade with Japan. Concurrently, the establishment of modern governing structures and legal systems instilled a new sense of order on the island. The colonial administration also conducted in-depth ethnographic and cultural surveys, which were the first systematic attempts at delineating the disparate cultural contours of Taiwan. There are around 600,000 South Asian immigrant workers in the Taiwanese labour force who support a wide range of industries, including construction, industrial and elderly care, among others. This symbiotic relationship is only sustainable if the underlying prejudicial frictions can be kept at bay and overcome through mutual respect. The Chinese Nationalist Party fled to Taiwan after being defeated by the Communist party in the Chinese Civil War and imposed the martial law in 1949. In order to quell anti-Nationalist sentiments, the law suppressed the freedoms of speech, assembly and the press, but by doing so also inevitably inhibited cultural development. Rounds of rallies and demonstrations finally pressured the government to lift the law in 1987 after thirty-eight years. The local communities could finally reflect on what their respective cultural roots meant to their Taiwanese identities on the road towards democratisation. Eatopia is a delectable tasting menu that dips into Taiwan’s past and present to trace its tale of cultural complexity- one of many global narratives of local identity formation. 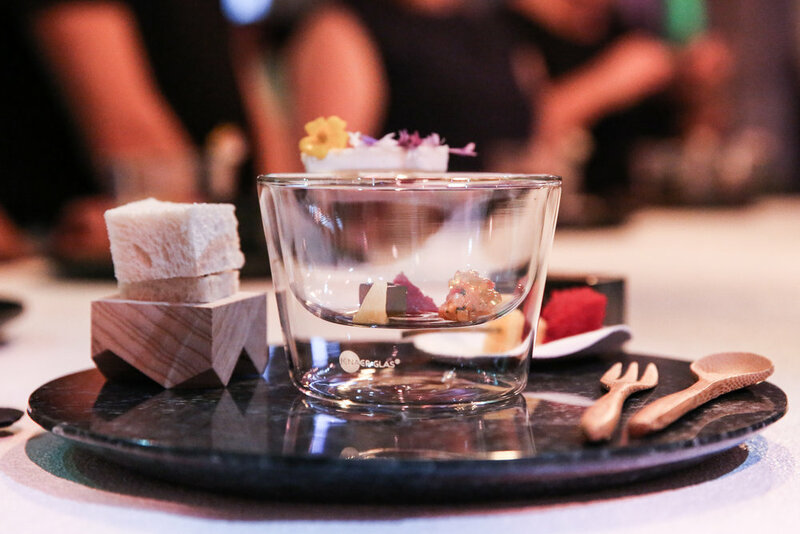 The final dish represents a shared vision of an utopian future that is attained through cultural collision and fusion among the distinct ethnic, age and social groups of Taiwan.